Ice skating is a very fun and energetic form of recreation. This is especially fine if you don't ride yourself. Princesses Ariel, Merida, and Tiana decided to relax together this weekend and go to the rink where they will spend a few hours skating. To do this, they need to take care of the warm and cozy clothes that you need to choose each of them. Girls, offer them your help in choosing clothes for skiing. 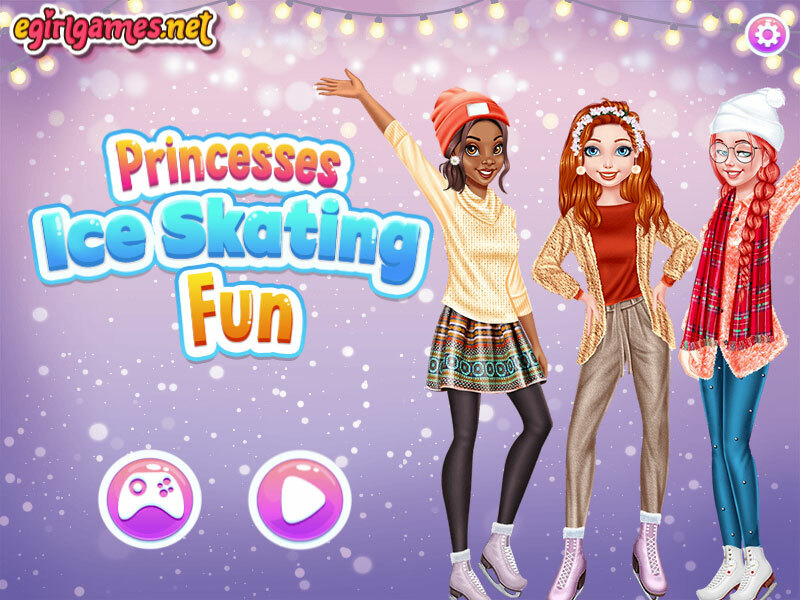 In this dress up game princess will skate, and you will pick them light makeup and outfit for a joint holiday. Played: 1215. Added: 19-03-2019, 08:03. Princesses Ice Skating Fun game.